This event has been postponed, check back for the new date! 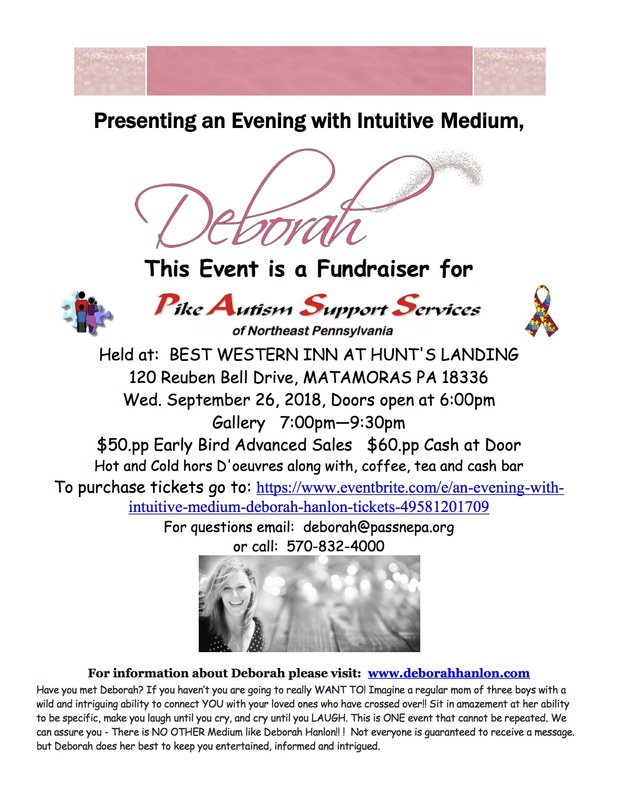 Join Deborah for this Gallery Fundraiser to benefit Pike Autism Support Services of Northeast Pennsylvania. The Gallery will be at Best Western Inn at Hunts Landing, 120 Reuben Bell Drive in Matamoras, PA. $50.00 in advance, $60.00 cash at the door. Your ticket will include cold hors d’oeuvres along with coffee and tea with a cash bar.